Modern comforts in a country setting on 12 picturesque acres with access to Lake Ontario. 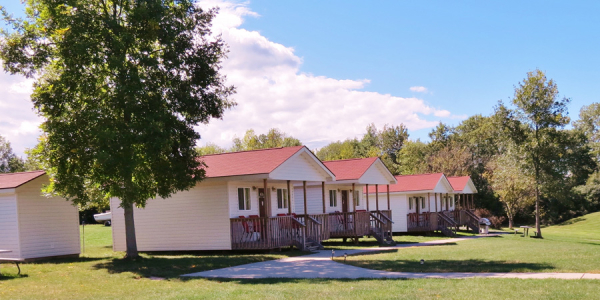 Clean, affordable rooms across from Lake Ontario with four cottages on the lake. Located in historic Youngstown NY, this unique establishment offers a variety of accommodations for travelers, fisherman, and vacationers. Just minutes from Niagara Falls State Park, Fatima Shrine, Fort Niagara and all major attractions. Swimming, fishing, wine sampling, golfing, boating, and bicycling all nearby.